ANU Degree Time Tables 2019: ANU has announced Time tables of Degree 2nd, 4th and 6th Sem Regular/ Supplementary examinations March/April 2019 for BA, B.Sc, B.Com, BBA, BCA Groups. 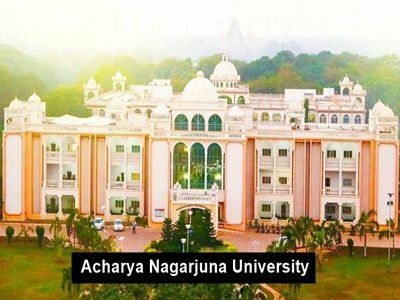 Acharya Nagarjuna University has announced UG 2nd, 4th, 6th Semesters Regular/Supplementary Examinations Time Tables March/April 2019 for B.A, B.Com, B.Sc, BBM, B.C.A. Students can download their ANU Degree 2nd sem time tables, ANU Degree 4th Sem Time Tables, ANU Degree 6th Sem Time Tables from below given links. Sir is 21st degree 1year 2nd sem exam will postpone due to Holy sir? Is this degree 4th sem data structures exam is postponed??? Then what remaining which means 1st semester to 4th semester students?? ?